Puducherry: Normal life was disrupted in this Union Territory on Tuesday in view of the general strike called by the Central trade unions. The general strike evoked a near 'total' response.All shops and other business establishments remained closed. Buses, taxis, three-wheeler passenger tempos and autorickshaws were off the road. Cinema houses suspended the morning and noon shows and industrial units in industrial estates remained closed. Government offices, both Central and State and government schools functioned with less attendance while, all private schools declared a holiday for the day. 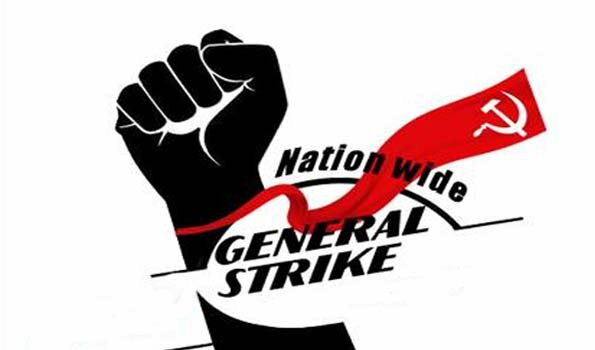 The Central Trade unions have called for a two-day general strike demanding among other things provision of a minimum wage of Rs.21,000, pension not less that Rs 6000 on attaining the age of 58, scrapping of contract system and to curb price rise.